EcoShells designed by Hildebrand Inc. are reinforced concrete structures that can be built quickly and economically. EcoShells provide a secure, high quality, permanent home that protects its inhabitants from the elements and natural disasters. EcoShells are ideal for warmer climates. 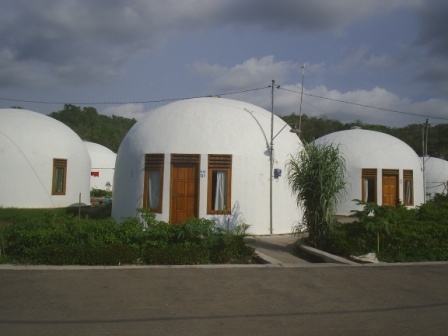 EcoShells are an economical housing option and construction moves quickly. 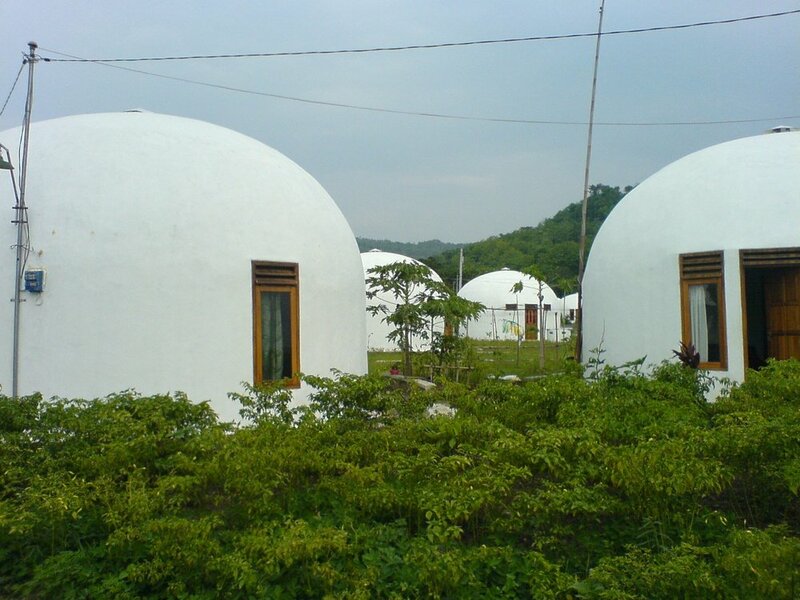 HDomes uses a local workforce to build EcoShells, providing employment and an infusion of money into the local economy. 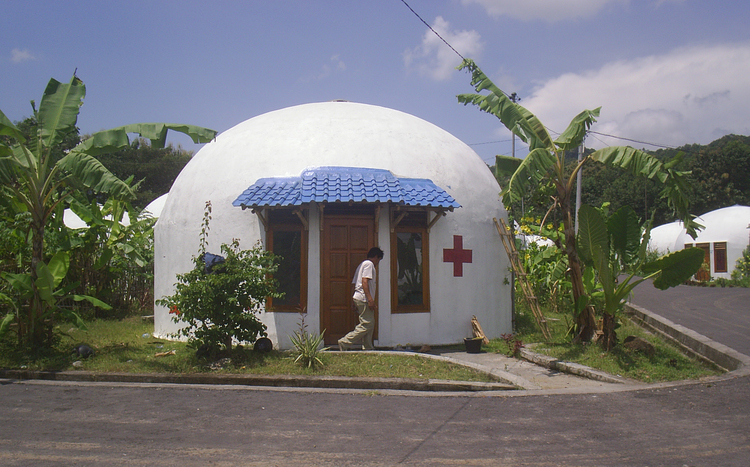 The EcoShell is resistant to fire, earthquakes and hurricanes. The integrity of the structure is not compromised by insect or animal infestation or flood damage. Its unique design also provides a stable temperate interior. 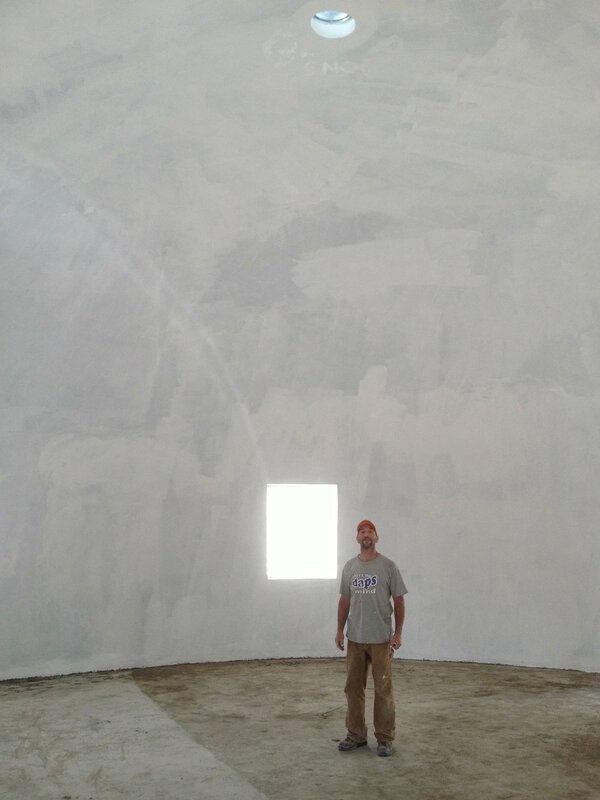 EcoShells are significantly less expensive than conventional concrete structures. They typically require fewer construction materials than traditional buildings and a minimal use of non-renewable resources. The distinctive repeatable construction process is also a key factor in reducing construction expenses. Significant economies of scale can be realized on larger projects. EcoShells can be rapidly constructed by a local workforce, providing jobs and infusing money into the local economy. Versatile designs offer multiple story options providing housing for two or three families or several individuals. The design and size of the EcoShell is adaptable to the social and environmental needs of the community it will serve. By constructing permanent structures designed to last several centuries with little need for maintenance, EcoShell inhabitants are free from the financial, time and energetic burden of frequent reconstruction inherent in other traditional structures and building techniques. The design and size of the larger structures can be built to accommodate schools, clinics, police stations, places of worship or small business premises. Single buildings are limited to a diameter of forty feet or twelve meters and a height of thirty three feet or ten meters. The maximum ground floor size is therefore 1,250 square feet or 116 square meters. Second floors can be added. 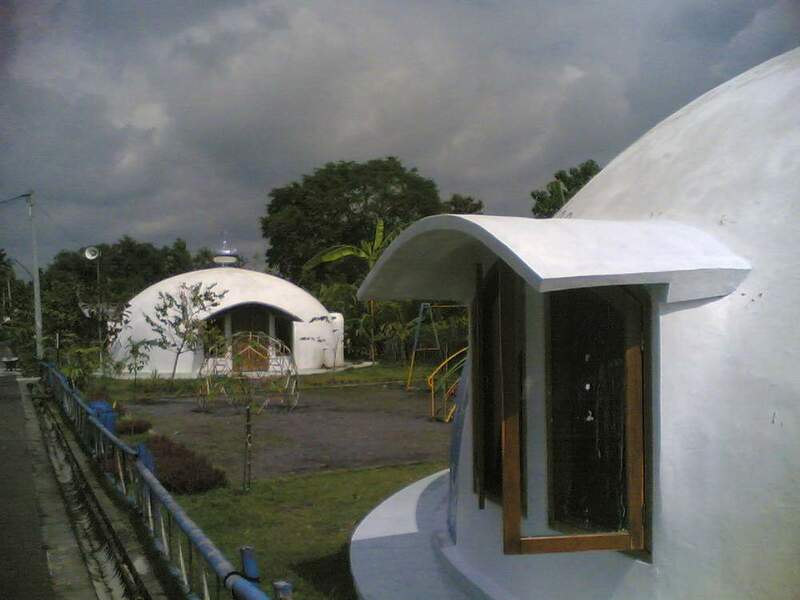 Scroll through gallery below to view additional photographs of EcoShells.